There are lots of communication apps around the world and Kik is one of them. Which app to use depends on which app that lots of your friends use. There is a chance that you may want to give up Kik as your communication app. For privacy leak, lots of users consider to deactivate Kik. However, Kik provides 2 ways to deactivate account, which would be confusing. The difference between Kik temporary deactivation and permanent deactivation is that your Kik account is no longer accessible or not. Navigate to this page ws.kik.com/deactivate. Input your email address you used for registration of the Kik account. Check your email for your account's deactivation link that has been sent. Visit ws.kik.com/delete and provide necessary information that is required, like Username, Email, Reason to leave Kik, etc. Check your mail for a link to permanently deactivate your account. iMyFone Umate Pro for Win or for Mac is an iPhone eraser that allows you to permanently delete Kik data from your iPhone thereby making it unrecoverable. It’s the first and only one eraser to erase third-party apps data from iPhone. The software simply renders your private information inaccessible by overwriting it with some scrambled information. "The difference between 'manually deleting' and 'permanently erasing' is that data is no longer accessible and recovery after permanently erasing while data is easy to be retrieved after manually deleting." Completely erase deleted Kik files including any unwanted files you must have removed manually but still remains on the iPhone. Thoroughly clear the cache of all apps and cache for free. 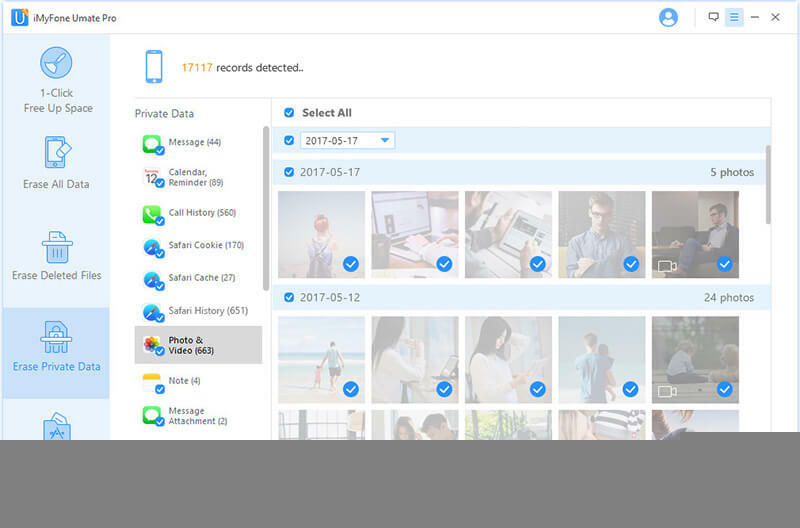 Check private data and select the ones you wish to erase including files such as Kik chats, media, videos, photos, contacts, messages, call logs and more. Eliminates any form of fragments that are deposited by apps such as Facebook, WhatsApp, Twitter, Kik, Snapchat, etc. Step 1: Download and install the Umate Pro software on your computer and connect your computer and iPhone together. Step 2: Launch the Umate Pro app and simply select the erasing mode, like "Erase Private Data" option. Step 3: After completing the scanning process, a private data will be presented on your iPhone device from various apps. Simply choose your Kik data and select "Erase Now" option to begin. Lots of famous media gave reviews on iMyFone Umate Pro, like MacWorld, iPhoneinCanada, APPKED, etc.